Good Morrow, Gentle (We Hope) Travelers! 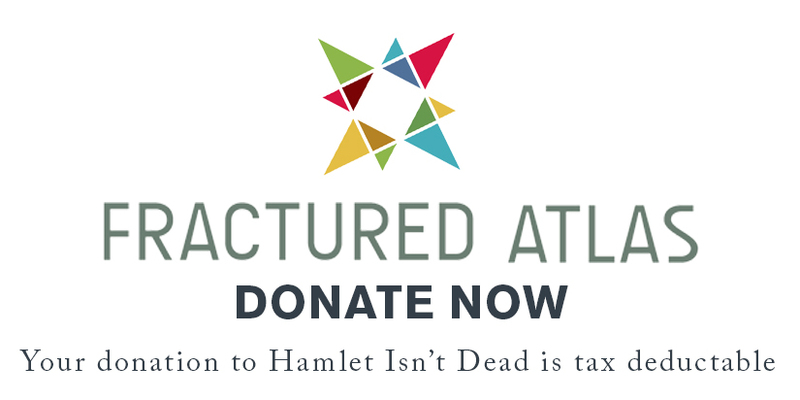 Hamlet Isn't Dead is alive and well! And already we're receiving tremendous response from the public (i.e.e.g.lmnop. YOU!). In this segment, we're going to tackle the sensitive subject of (Spoiler Alert) Shakespeare! Now, many people have already contacted us to inform us that our chronology is "wrong". Everyone has been very gracious in doing so, probably because we've already acknowledged that this is most likely the case. I'm sure it's wrong, almost certain, in fact. But so, in all likelihood, is yours. Not yours, but "theirs". Anyone's. Whatever. What it boils down to is that no one can say with absolute certainty when Shakespeare started or finished each of his plays. Except maybe his girlfriend. She might have known. The chronology we've constructed merely serves as a linear pathway for us here at HID. It's an approximation, if you will, that we believe fully explores Shakespeare's growth as a writer. Now, that's not to say that we think Two Gents is the worst and Two Noble Kinsmen is the best (we're definitely not saying that!). But we are interested in observing any patterns, slumps, peaks, valleys or otherwise that might have occurred over the course of his life and works. We're also not doing some of his plays that are considered apocryphal or with more speculation surrounding their authorship, such as Edward III or Sir Thomas Moooooore. Call us traditionalists, purists, or buttheads, we're gonna stick to the list we've made. Well...what do we know? When you first posed this question, I thought the best thing to do would be to compile a list of everything I personally know about Shakespeare right off the top of my head. The list was...not impressive. William Shakespeare was (theoretically) born on April 23rd, 1564 and died (theoretically) on April 23rd, 1616. He was born in Stratford-upon-Avon, Warwickshire, England. His father, John Shakespeare, was a glove maker, and his mother, Mary Arden, was a Roman Catholic. Over the course of his life, he wrote (approximately) 38 plays, some poems, and 154 sonnets. He married Anne Hathaway (not the Catwoman one) who was 11 years older than he. They had...threeeee children? Susannah, Hamnet aaaaaand...shoot...I wanna say. Keith? Two of those were twins. One of them died during Shakespeare's lifetime. Hamnet, right? Right. In his will, (no pun intended) Shakespeare left Anne his second best bed, which may or may not have been a snub. Supposedly the best bed was often reserved for company. He traveled to London and took up writing, directing, and acting with the King's Men at the Globe Theatre. He totally rocked that golden earring. So, not bad, right? Maybe a B-? Considering most of my knowledge comes from having watched The Complete Works of William Shakespeare (Abridged!) approximately 2,700 times in my childhood. You'll notice there are lots of parenthetical modifiers. That's because a lot of information has been lost, misrepresented, destroyed, etc. since the 16th century. So much of what Shakespeare was "really like" is entirely supposition. Except for Shakespeare in Love, where Tom Stoppard actually used a time machine to go back and film the whole thing. Either way, let's clear up a few of my blunders. Isn't learning together fun??? There is a lot of speculation on the date of Shakespeare's birth that have to do with his baptism date and St. George's Day, etc. Maybe believe he was not born on the 23rd but, in conjunction with a mistake made by an 18th-century scholar, the cyclical nature of his birth and death dates being the same is very appealing to the theatrical crowd. The King's Men, when Shakespeare first joined them, were still known as The Lord Chamberlain's Men. He first traveled to London in about 1582 and (theoretically, I say!) retired from theatre in about 1613. I'm sure none of this is new to any of you (Or maybe it is! Go, me! ), but it's important. It's a foundation, the support beams of the very complex and supposition-filled biography we're about to tackle. These are the bare bones, but in the following weeks, months, and years, we will flesh out this knowledge until our own brains are full to bursting. Perhaps it is the mystery itself of Shakespeare that keeps him such a fascinating topic within our minds and hearts. I know many of my personal mentors could (and may have....) write a book with everything they know about Shakespeare by heart; I come by my passion very honestly. Now, if you'll excuse me, I'm sure my inox has filled up again already with corrections, additions, suggestions and the like (How is that possible? I haven't even posted this yet!). My response is always "Please! Keep them coming!" We love to learn and how better to do so than to be proven wrong? Just...be gentle. It is hearts we're dealing in here. The next post will focus on what influences might have affected Shakespeare in the writing of his earliest plays, including contemporaries, the adaptation necessary to living in London, and much much more! Until next time, try to pick up that Riverside without giggling with this in your head! It's not a bad look for me. I call him Shakesfear. Don't forget to sign up for an audition slot for our production of The Two Gentlemen of Verona by e-mailing us at halmetisntdead@gmail.com. Auditions are June 29th and 30th and (proverbial cat's out of the literal bag) it will be a paid gig. Tell your friends.